It’s Monday, Rhyming Fun Day! Here we are…ready for the second week! I know last week was a lot of information but now you have it to look back on. I am already much more comfortable with the many terms that we covered last week. Do I remember everything? Nope, but when I am researching for the lessons and come across some of the terminology, it is becoming more familiar. It takes time to learn new concepts. I hope you can join us for the next rhyming party. Request to join the Facebook Group and make sure you are registered for the event to participate. If you are not sure if you are registered, there is a tab above that says RhyPiBoMo Registration List…Check and see if your name is on it. If not, Click the tab to Register asap! Registration ends April 16th You must be registered to win any prizes. There were several people who would have won a prize for last week but they were not registered for the event. Several people have asked if there is a place they can share their poetry with the group. There is! Look at the tab above that says Pearls of Poetry…That is a place for any writer to share kid-friendly poetry. It is completely optional and not part of this challenge. I wanted to wait a week before I mentioned it so you don’t feel obligated. It is a place for sharing and perusing at your leisure. I will try to stop by to read the poetry there as I can but please feel free to share any poetry that is again, kid and family friendly. 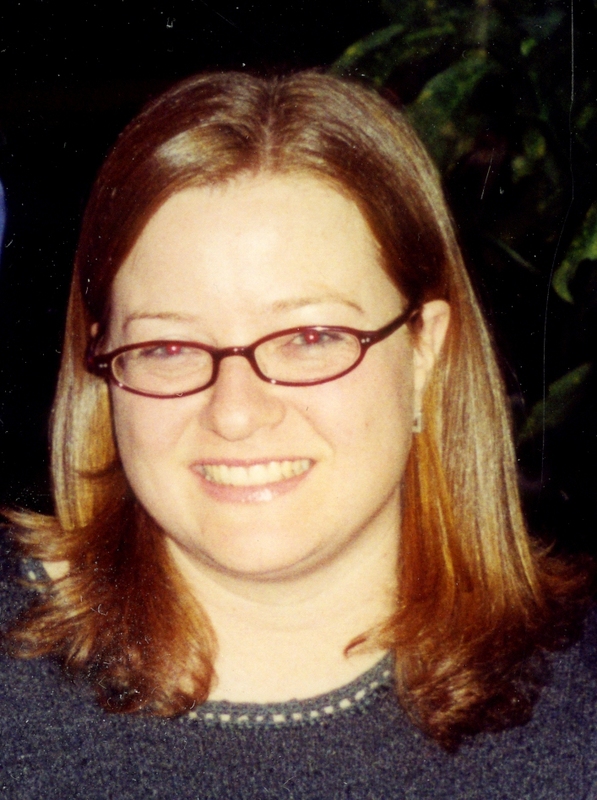 We are fortunate to have today’s guest blogger as she is a busy editor at Putnam. I’m thrilled to have her here to help us understand the editor’s point of view when it comes to rhyming picture books and poetry. –I went through a phase of wanting to be an architect, fully inspired by Lincoln Logs and Legos, but quickly got over that when I learned how much math and physics was involved. I was a huge bookworm as well but never knew or thought about working with books as an option for a career. –I was an elementary education major in college and loved my children’s literature classes best. Whole Language was popular while I was in school and using trade books in all subjects seemed natural and fun to me. After four years of teaching, I realized that was not the profession for me but didn’t know what I could do next. I had spent one year as a substitute teacher and while my students were at specials, I’d scour the library for new books (no planning for subs – yay!). That felt a lot like my time in my elementary school library and led me to wonder if there were something I could do with books. I knew authors and illustrators from using trade books in all of my classrooms, but I didn’t know anything about publishing at all. I was lucky enough to get an interview with Margaret Frith at Putnam and landed in editorial. In the beginning I was equally amazed by being surrounded by books and the wonderful people who created them and the fact that I could go to the restroom whenever I wanted. I’m in my twentieth year at Putnam (!) and sometimes still can’t believe I get to help make books for a living. Why did you decide to be an editor? –I would have taken any job in publishing and honestly didn’t know much about any of the departments. My breadth of knowledge about recent books, authors, and illustrators made me a good fit for editorial and then I was able to find some great manuscripts in the slush pile so they kept me around. –Rhyming books will always be popular if they’re done well because children enjoy rhythm. Great verse is like a song to the ear (though harder to write–songs are more forgiving). Very young children respond to the patterns in rhymes and the pace of lively verses while kids who are learning to read get cues from the rhythms and rhymes. It will always be fun to read a rhyming book aloud when kids can guess the next word and recite it with you. Do you publish much poetry? –I have only acquired one poetry collection–La Madre Goose by Susan Middleton Elya, to be illustrated by Juana Martinez-Neal. I am more drawn to stories than collections. What should authors always do when submitting rhyme and poetry? –For a picture book that is meant to be read as a narrative, use a consistent rhyme scheme throughout. The meter should add fun to the telling without spots that pull the reader out of the flow of the rhythm. –Make sure the manuscript has a strong story as well as carefully examined meter and rhythm. Fun language is great, but in order to stand up to repeat readings and become a child’s favorite, a book also needs distinct characters and an interesting plot. –Find many people who will read your work aloud in front of you before you think it’s ready to submit. You can learn a lot about trouble spots by listening to fresh readers. Mark every word they trip on. What should authors never do when submitting rhyme and poetry? — sentences or phrases that are part of a single topic or idea that jump from one stanza to another in order to make a rhyming word work (sometimes this can work but it is very rare). –Don’t think you can get away with lazy rhymes or uneven rhythm because you see it in other books. On a scale of 1-10 how much bad rhyme do you get? 1= not much…to…10 = I’m out of rejection letters! Describe the excitement when you read brilliant rhyme. –It makes me smile and laugh out loud or stop and reread a few times. It makes me marvel at how much fun language can be. I instantly think about how a child will respond. –There will always be a market for well-done verse. It will forever be fun to read aloud. Talented readers will never stop loving how they can amp up the word play and less artistic readers will always appreciate how the words are magic even without much work. Kids are born loving rhythm and will respond to hearing it from books for as long as they’ll respond to it in music. Susan Kochan has been with Putnam for almost twenty years after a short-lived career as an elementary teacher. She acquires fiction and nonfiction from young picture books through middle-grade novels. She is the editor of many rhyming picture books including Falling for Rapunzel and Waking Beauty by Leah Wilcox, illustrated by Lydia Monks; Hornbooks and Inkwells and Civil War Drummer Boy by Verla Kay, illustrated by S. D. Schindler and Larry Day (respectively); Oh No, Gotta Go by Susan Middleton Elya, illustrated by G. Brian Karas; Cool Daddy Rat by Kristyn Crow, illustrated by Mike Lester; The Three Ninja Pigs and Ninja Red Riding Hood by Corey Rosen Schwartz, illustrated by Dan Santat; and The Gingerbread Man Loose in the School and The Gingerbread Man Loose on the Fire Truck by Laura Murray, illustrated by Mike Lowery. Putnam Children’s accepts unsolicited manuscripts, but we can’t respond to the huge volume we receive. Please send just manuscripts (no SASE) to: Putnam Children’s Editorial, 345 Hudson Street, NY, NY 10014 and we will respond within four months if we are interested. First I think we have to distinguish the difference between good rhyme and bad rhyme. Good rhyme occurs when the two or more words that rhyme complement each other in respect to meaning, sound and/or thought. In other words, the rhyming words add to the joy of reading that particular text. Bad rhyme occurs when the writer is using language as a scapegoat. The rhyming words are chosen almost exclusively because of the ending sounds involved…not taking into consideration the meanings of the words. Bad rhyme does NOT add to the joy of reading the text. It confuses the reader and often makes the text silly or nonsensical. Bad rhyme keeps the writer from saying what he/she truly wants to say. From here on out I will be making reference to rhyme…aka: Good rhyme. 1) Rhyme is an echo that gives a feeling of closure. You call out, then you get an answer. 2) Rhyme helps the reader remember the poem or the rhyming picture book text. 3) Rhyme gives a logical order to our thoughts when reading. 4) Rhyme is pleasant to read silently and extremely satisfying to hear or read orally. 5) Rhyme is an awesome tool to help new readers understand language and to become confident readers. 6) Rhyme enables the new reader to use context clues in the sentence to make an educated guess as to the ending word, or rhyme word. 7) Rhyme brings joy to reading. It encourages the listener and reader to be playful, find fun in language and makes reading a positive experience. Definition – end rhyme, in poetry, a rhyme that occurs in the last syllables of a line or verse. 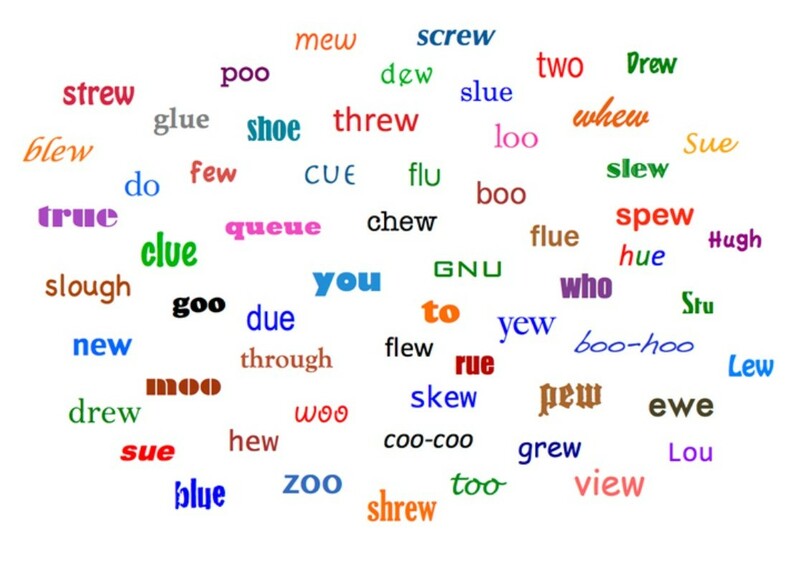 Words with ending rhyme have the same final vowel sound and following consonant sound(s). The beginning syllables of these words are disregarded. Words with last syllable rhyme have the same sounds following the last syllable, usually with a consonant, a vowel, and another consonant (CVC pattern). In my research it was clear that forced rhyme is a clear sign of an amateur writer. Forced rhyme is viewed as unprofessional, where the writer has convoluted the entire structure of the poem to make the rhyme fit. It is looked at as desperate or lazy by editors. Forced rhyme is considered one of the main reasons rhyming manuscripts are rejected by editors. It is suggested that reading good formal poetry, sending a manuscript to a critique group and utilizing a rhyming dictionary are all good solutions to forced rhyme. You can be sure that forced rhyme is definitely a rhyming crime! Don’t do it! For you, I stayed. The natural flow of this line would be I stayed for you. One big problem with rhyme is that different people pronounce the same word differently, based upon where they live. Dialect – The way a language is spoken in a particular place or among a particular group of people. There is plenty of room for discussion on this subject but not today as this lesson was much more involved than I thought it would be. You need to be aware of the words you choose and how they may be pronounced in other parts of the country or world. 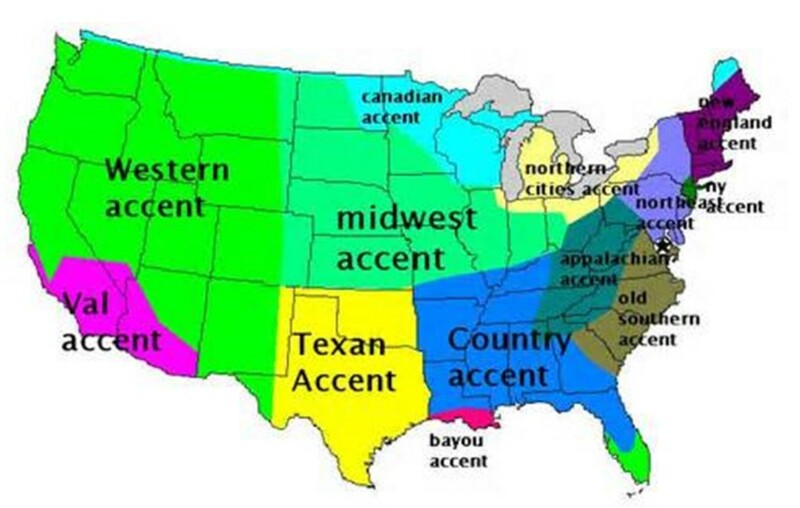 For example, in the United States, there are more than a dozen different dialects of the English language spoken. A Poetry Community – I came across this online group…I don’t belong but it looks like it might be worthwhile. Writing Prompt: Make lists of rhyming words for each category above. 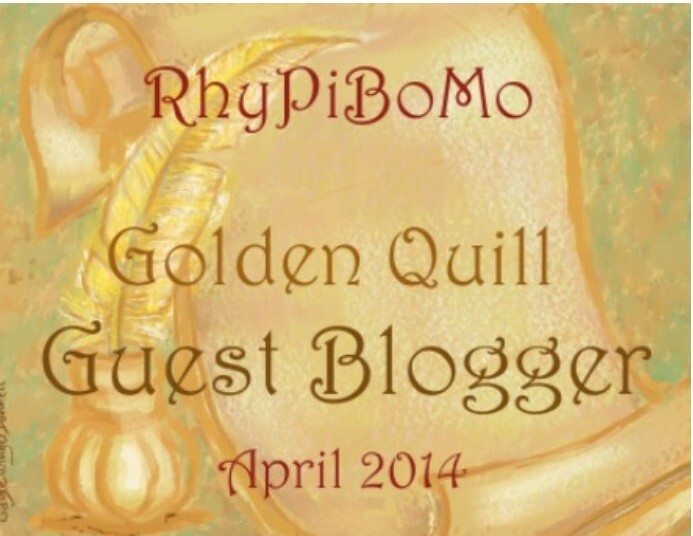 ← No Rest for the RhyPiBoMoers! I’m slowy slugging away at finding a structure for my wants-to-rhyme manuscript. This has been very helpful in making it fit without force. Thank you! I’m so glad to finally be able to comment on the daily poetry lessons, having been without computer access as April began- UGH! Slant rhymes/half rhymes/off rhymes represents a new “category” of rhyme to me…thanks for the insight on these. Today’s emphasis on the language value of a rhyming p.b. for developing readers is a point that I will be taking to heart going forward! Terrific post. I love Mary Oliver’s book. I have to be better about reading my work aloud and getting others to read it aloud to me. Thanks for the reminder and for the light homework assignment. I am buried. Thanks for the post! There are lots of fun rhymes to play with. Susan and Angie, thank you for all you do to help us to become the best poets will can be! Another interesting post. I hadn’t known the difference between alliteration and assonance (shame on me), but I do now! Thanks for all the great information. I really feel like I am doing better each day! Yay, I am caught up…at least with my reading! I still have a bunch of writing to do but I am getting there! Another great lesson and guest. It’s good to know that good rhyme is appreciated. I Just got back from my local Illinois chapter of SCBWI. We had a Skype session with author Jen Ward who has written over 20 picture books, most of them in rhyme. One of Jen’s books is on the suggested book list that Angie gave us. Now it’s time to write another poem! 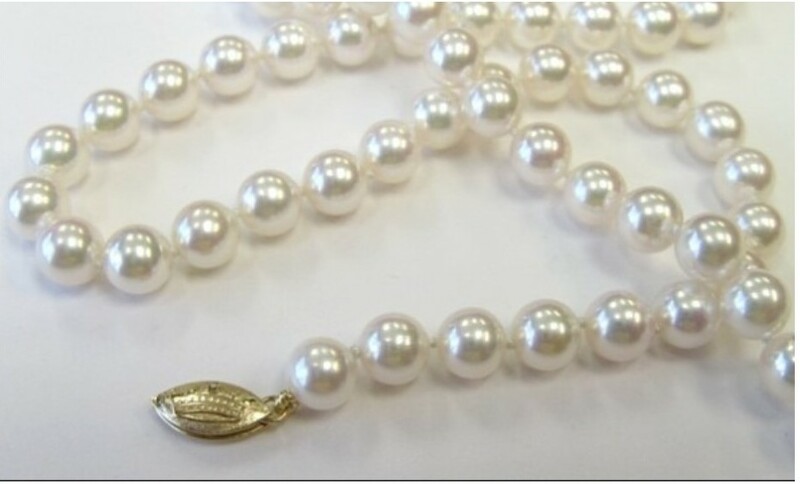 Thank you, Susan, for your blog concerning the things an editor looks for when reading rhyming submissions. I love writing lists – so I look forward to this activity! Thanks for the editor insight too. Thanks, Susan, for your comments. We both attended an SCBWI-Ilinois Prairie Writers Day some years ago. Nice to hear your words again. (And Rick Walton says hi.) Playing with words is so much fun! Thanks, Angie! I aspire to write great rhyme someday. Thanks for all the helpful lessons and inspiration! Even though I’m behind on my lessons/homework, I’m learning so much. Why do I write poetry? It let’s me dance and read at the same time! It was great to hear Susan Kochan’s story. 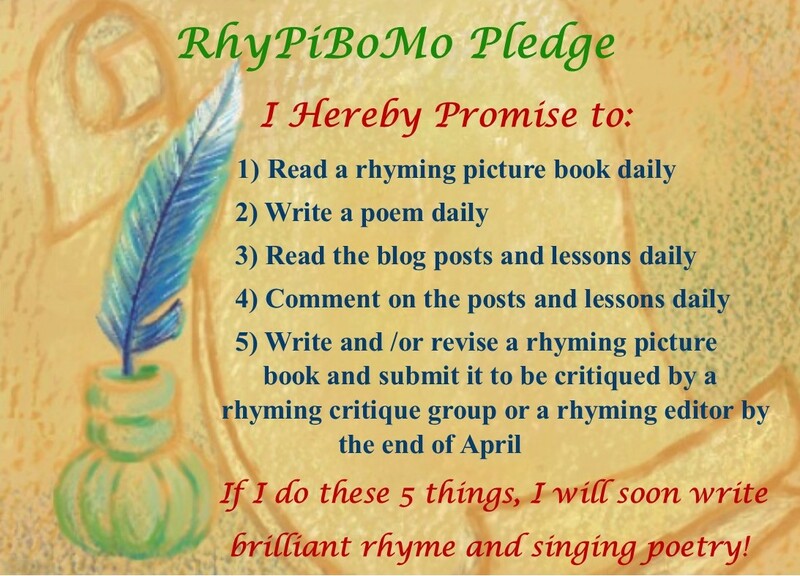 There is so much to rhyme and RhyPiBoMo is spot on in educating those that have taken the challenge! Susan had some great advice. Reminds us we need to practice, practice, practice our art before submitting. And today’s lesson was very valuable. Getting down to the nitty gritty of rhyming. Thanks, Angie. Great interview and another great lesson Angie! Thanks for posting. The rhymes are roasting! This is wonderful and I am learning a lot. I hope I can rise to any poetic challenge. Thanks, Susan & Angie. It’s great to have an editor’s point of view on this. And it’s great to have this focused information on rhymes, good, bad, and ugly. I had never heard of some of these rhymes–holy moly! (ha ha! see what I did there?…) Thanks, again Angie. I’m really happy with the terminology roundup you are doing through this challenge. It’s so helpful having this information when attempting to write and understand poetry. Thank you, again! I’m learning a lot each day! 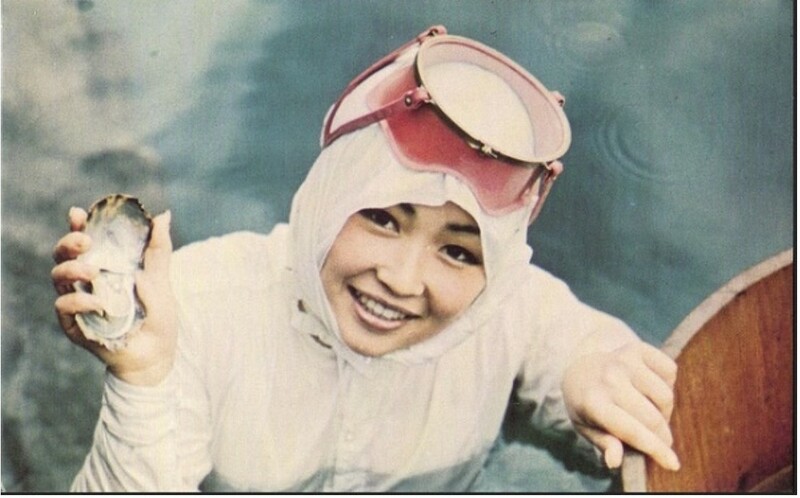 WOW, Lady! I’ve said this before, the effort and work that you’ve put into this event is inspiring. I am so grateful to you for this. YOU ARE A RESOURCE! This has been great for me. I am learning a lot about rhyming. Such a great post – thank you so much. I will meet Susan Kochan at the NJ conference in June – I’m scheduled to have lunch at her table! Dialect and pronouncing words differently is a pretty intimidating task. I wonder if you have any specific advice on this topic? Lastly, I loved all the definitions offered in this post. Many of the terms I am familiar with, but having the actual technical definitions certainly helps me to remind myself of how to use each of these tools, in addition to being reminded of what they are.